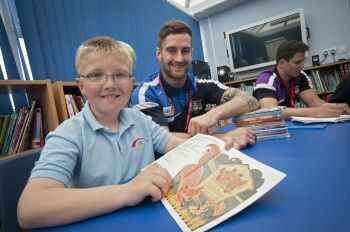 Workington Town Rugby League Community Development Foundation received a grant of £51,000 over three years. Their goal was to get rugby players to read with school children who needed extra support. The Northside School head teacher told us “The children were classed as “reluctant readers” – i.e. they are not motivated to read and are not encouraged to read at home. Six children received reading support and ten attended the after-school club.